Hi friends! Are you ever up late and just want to shop online? (me every night!) I wish I could just order new items for my home every night but let's face it, I wasn't the recent Powerball winner! I do however love to scroll through Amazon and I even made a "wishlist" so maybe I can go back and purchase a few of the items every once in awhile. 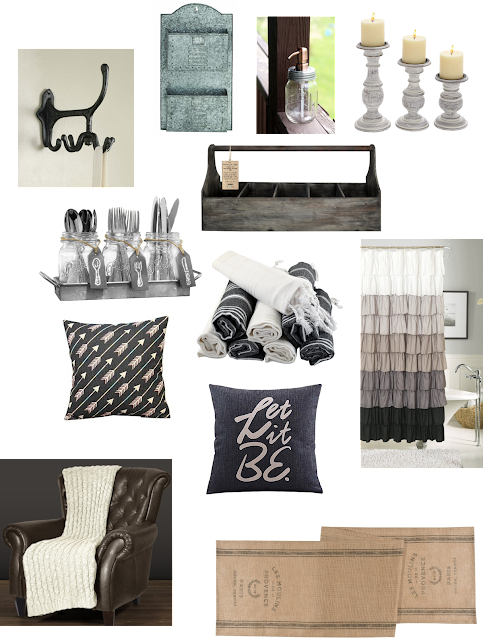 I have found some great deals on some super cute home decor items that I think you will love too that I am sharing below with links from my personal "wishlist". Happy shopping! Create For-Life Cotton Linen Decorative Pillowcase Throw Pillow Cushion Cover Let it Be by the Beatles Square 18"